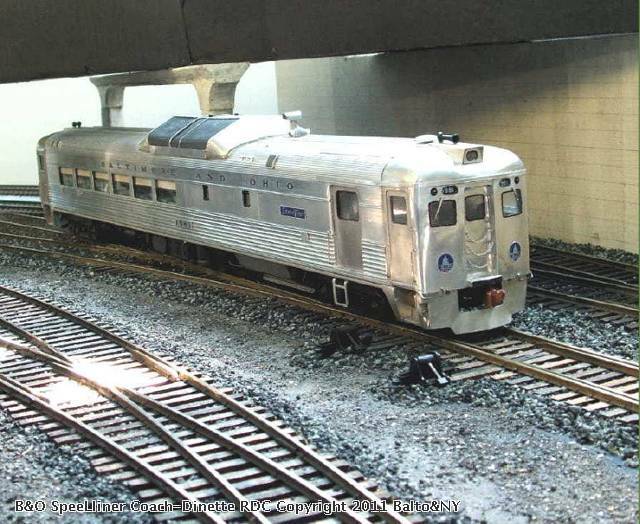 In the mid-1950's, B&O up-graded its Washington DC-Pittsburgh PA service with RDC units. The RDC trains were marketed as "Seedliners." Budd built two RDC-2 baggage coach units with small kitchens and dinette seating for 24. Their numbers were 1960 and 1961. This model was built from a Mac Shops extruded aluminum kit and has a detailed interior.